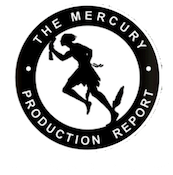 With the Mercury Production Report, you can proactively go after new production opportunities before they start hiring, we have the contacts with the latest info! Big budget projects, mean big paydays. We list them all. Sign up here. Last year we listed over 200 Pilots in the US. Most productions have a narrow hiring period and you can contact them before they go into production. Plus our hotlinks make it easy to submit via email. Big budget projects, mean big paydays. We list them all. Sign up here. Film Industry Professionals, are you looking for your next work project? We can help you with a list of current feature films, television shows, pilots, and other media in the preproduction and development stage. Most productions have a narrow hiring period. With the MPR you can contact them before they go into production. We list approx. 35-45 fresh new projects a week. Find out more here. Want to contact every one we’ve ever listed? You can by purchasing our database of email contacts. Find out how here.